As you know, back pain can be debilitating to the point where you cannot pursue the lifestyle that you may have had in previous years. The act of sitting in the same place for a period of time can produce intense pain and discomfort. Coupled with a relatively fixed position for the arms and legs, vibration, and the occasional pot hole, and motorcycling can become impossible for those with back issues. Fortunately, we have just published a back pain guide specifically for the motorcyclist. Within this guide, you will find practical tips, techniques, and therapies that you can start using today in order to relieve your back pain. Reveals a solution you can do for just a few minutes a day in your own home. This solution is effective that a recent medical study showed that patients were 70.5% less likely to require back surgery. address or spam you. Promise! 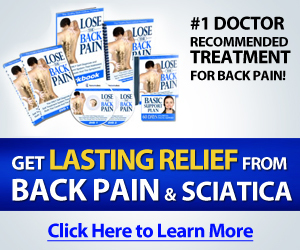 Join thousands of people who have literally changed their life by reducing their chronic back pain. Participate in activities that have been impossible for you with back pain. Fourteen natural techniques that do not involve drugs or surgery that you can put in place TODAY to relive your back pain. Imagine walking, playing, and even riding your motorcycle without back pain. You may have tried all sorts of treatments just to get your life back, including medication, physical therapy, and even surgery. Fortunately, there is one therapy that is proven to reduce back pain. In fact, this therapy has been shown in a recent medical study to reduce the need for surgery by over 70 percent! This ebook reveals this therapy along with 13 others, many specific to motorcycling, to relieve your back pain.